Have a little princess in your life? 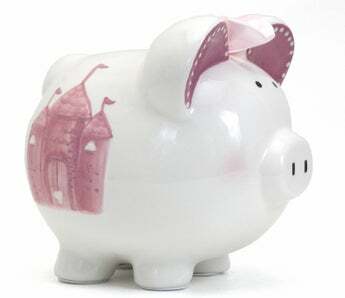 Help them manage their loose change easily with the Personalized Fairytale Piggy Bank. This magical design creates a fun accent in a child's room! Perfect for a nursery, baby shower, birthday and every occasion in between.